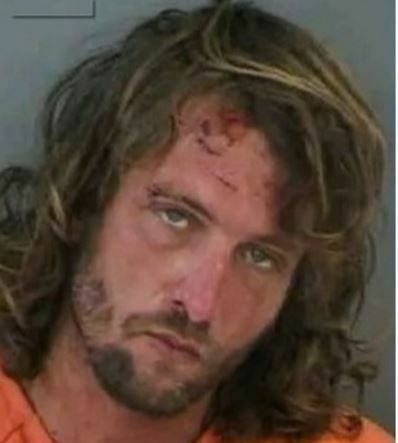 NAPLES, Fla. (WAND) – A Florida man was found shirtless and stuffing spaghetti into his mouth at a restaurant, police say. NBC Chicago reports police arrested 32-year-old Ben Padgett on April 7 at an Olive Garden in Naples, Fla. Officers say they found Padgett, who smelled like booze, “muttering obscenities” as he ate with his hands. A restaurant worker told officers Padgett yelled expletives outside of the business and asked customers for money, then made a scene inside. Police say Padgett was given towels to clean the pasta from his face before they arrested him. They say he then banged his head on the metal cage partition in the police car. Padgett was charged with disorderly intoxication and resisting an officer without violence. He was released from jail after posting his $2,000 bond.